Lenovo announced the Vibe Z – a 5.5" phablet with dual-SIM functionality. The device packs a Snapdragon 800 chipset and a Sony Exmor RS camera and runs a custom Android-based ROM. The screen on the Lenovo Vibe Z is a 5.5" IPS LCD of 1080p resolution (400ppi). It's powered by a Snapdragon 800 chipset (quad-core Krait at 2.2GHz, 2GB RAM, Adreno 330 GPU). The Vibe Z is a dual-SIM device and will come in several versions - specific configurations for Chinese operators, plus a GSM + 4G LTE version for the international market. The phablet uses a Sony IMX135 camera with a 1/3.06" Exmor-RS sensor with 13MP resolution and a fast f/1.8 lens. Lenovo is promising great low-light performance with the backside illuminated sensor, wide aperture and proprietary image processing algorithms, not to mention the dual-LED flash. The front-facing camera has a wide-angle lens, 84°. 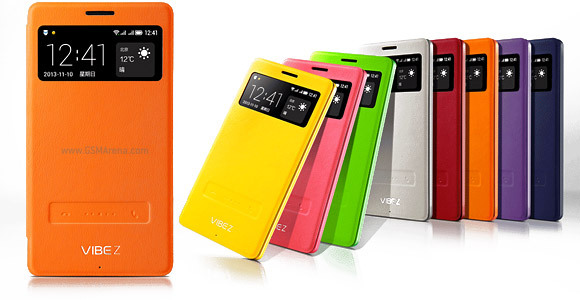 Lenovo has created special flip covers for the Vibe Z that look like the S View Covers from Samsung and Quick Window cases from LG. Except the Lenovo case has a special area to slide to answer or decline an incoming call. The Lenovo Vibe Z is the big brother of the MediaTek-based Vibe X (a 5", 1080p phone). While not as thin as the X, the Vibe Z is still pretty slender at 7.9mm. It will be available for pre-order in China soon, details on the international release are yet to be announced. 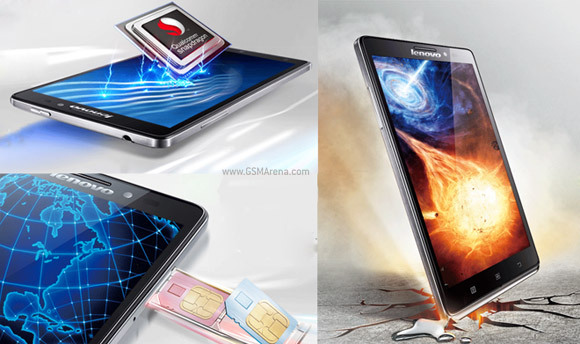 Available on the market offers single sim... Where can we buy for dual sim?